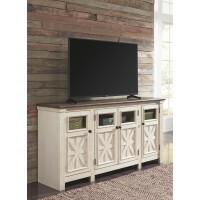 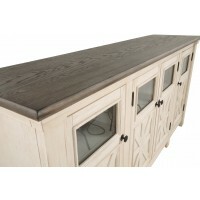 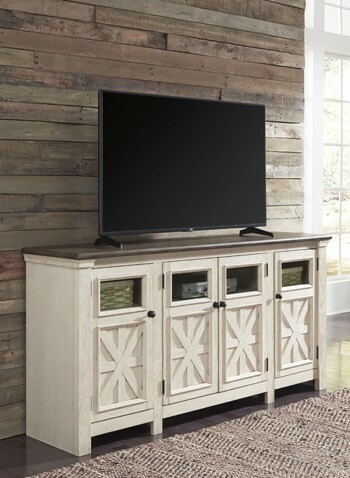 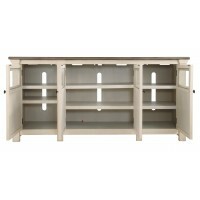 Whether your style is farmhouse fresh, shabby chic or country cottage, you’ll find this extra large TV stand perfectly in tune. 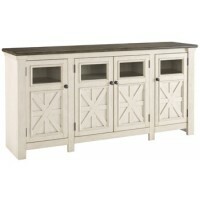 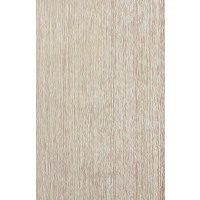 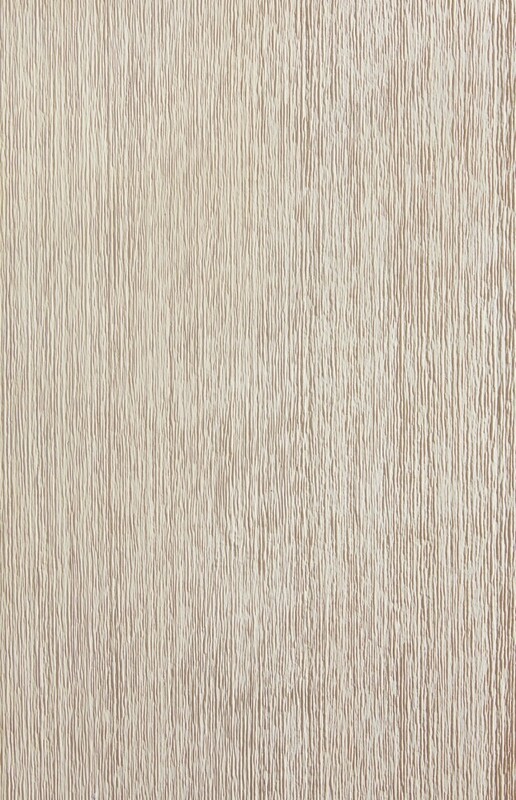 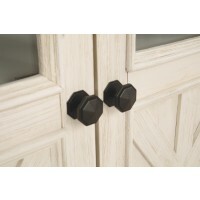 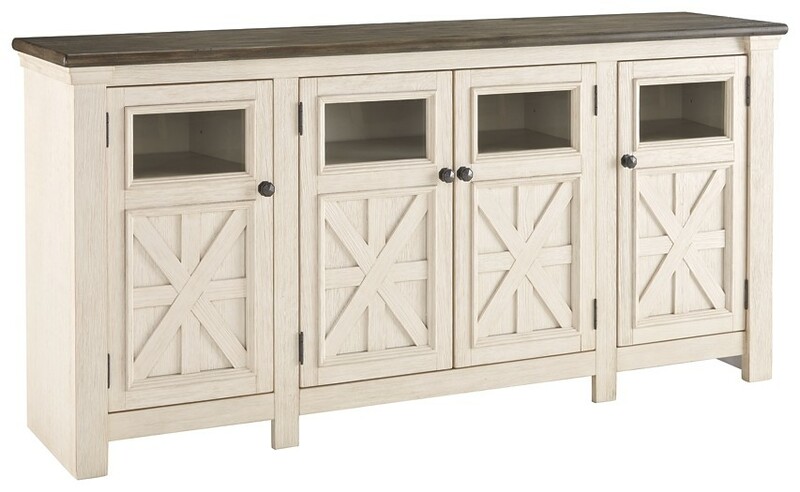 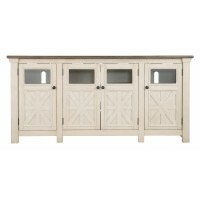 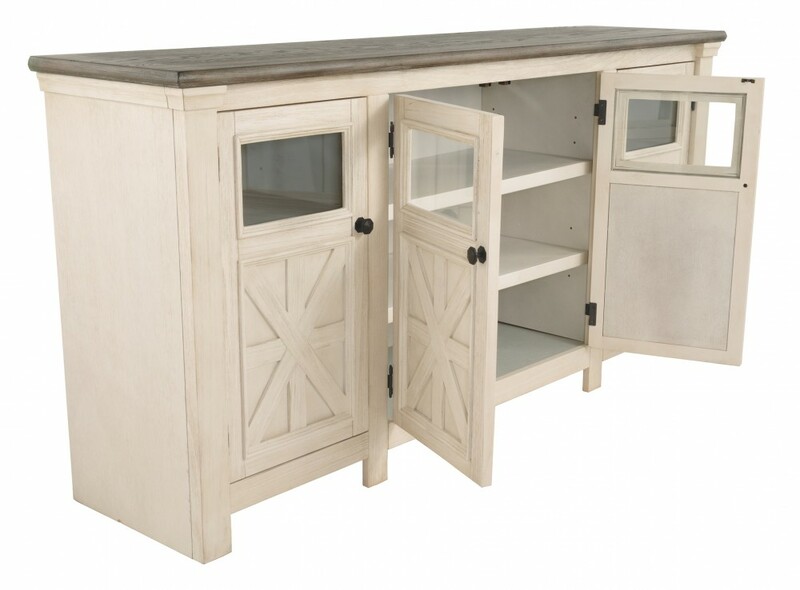 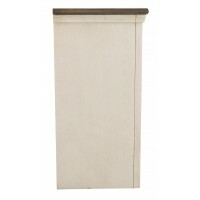 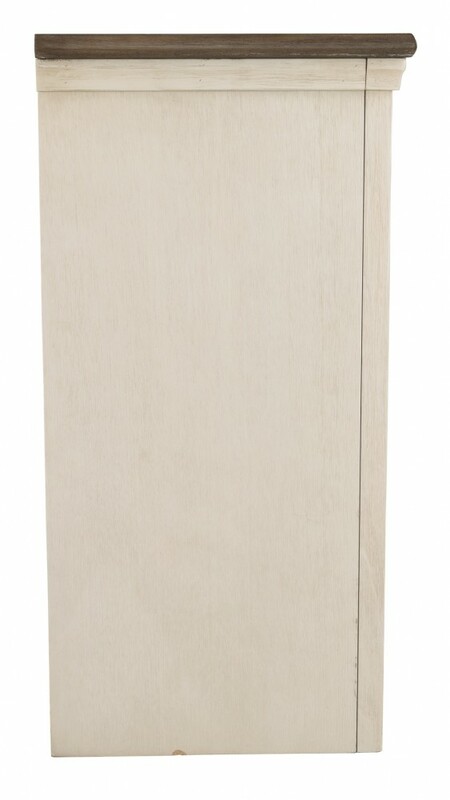 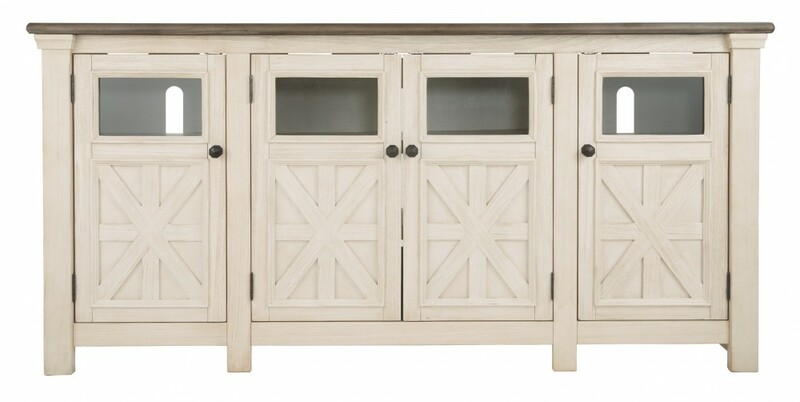 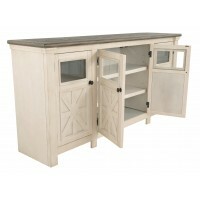 Its two-tone, gently distressed finish pairs weathered oak with antique white for that much more quaint character. 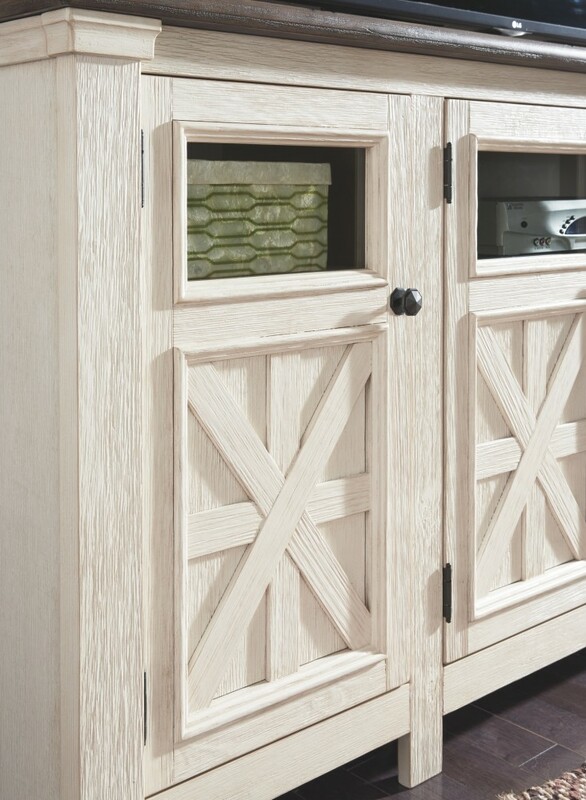 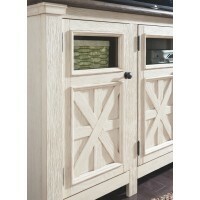 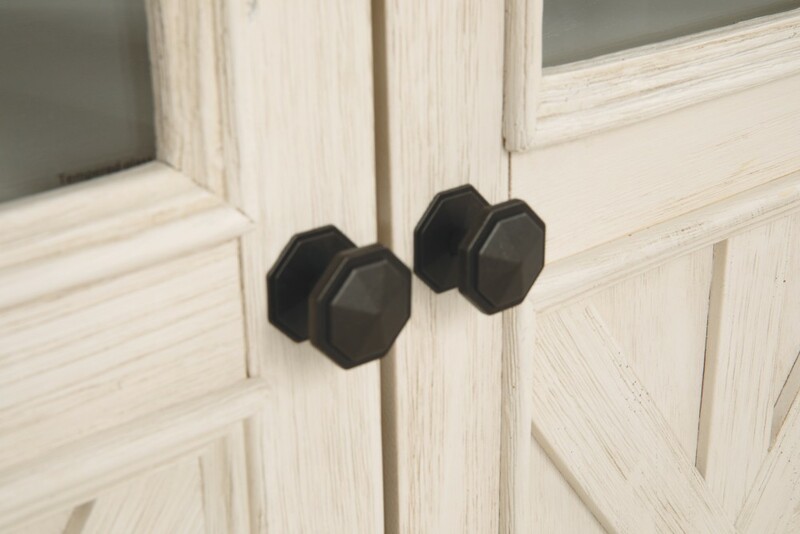 Charming elements include crossbuck adorned cabinets with glass inlays for peak-through flair. 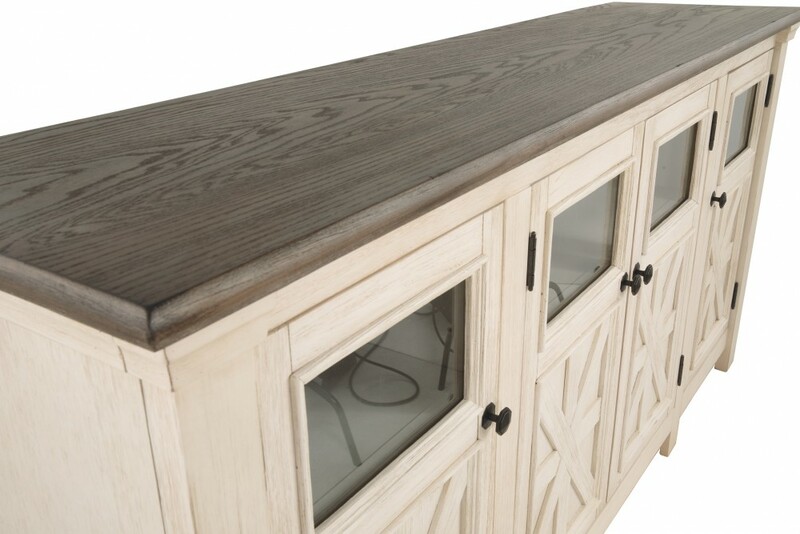 Ample adjustable shelving and cutouts for wire management nicely accommodate your media needs.